Neil Gaiman’s Sandman Heading to TV? Good news and bad, comic fans. 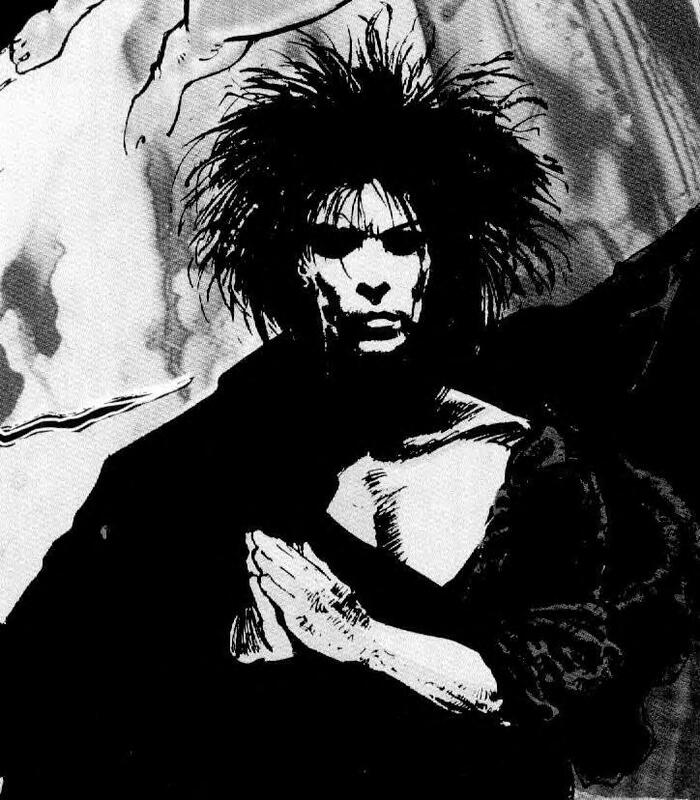 The good news comes from the Hollywood Reporter, which is claiming that Neil Gaiman’s Sandman may soon be heading to the TV. The bad news is that it might be destined for the CW. Warner Bros. TV is currently in negotiations with DC Entertainment (both are owned by Warner Bros.) to acquire the rights to Sandman, and according to the report, several writer-producers are being looked at to act as showrunner. The number one name on the list is said to be Eric Kripke, creator of the CW show Supernatural. Kripke acted as writer, director, and executive producer on Supernatural until stepping down earlier this year after the fifth season to pursue other projects. If you are a comic fan at all, you have likely read Sandman, or at least have heard of it. While not as well known as Frank Miller’s The Dark Knight, or Alan Moore’s Watchmen, Sandman is easily one of the most influential comics written in the last few decades, and all three are among the few comics to reach the New York Times Best Seller List. Running from 1989 to 1996, Sandman helped usher in a new era in comics aimed specifically at an adult audience, and it was one of the launch titles for DC’s Vertigo comic line. The story revolves around Dream, one of the Endless. The Endless are personifications of different aspects of life, and Dream’s siblings include Destiny, Death, Destruction, Desire, Despair, and Delirium who was once known as Delight. In the main run of the Sandman, Dream is also known as Morpheus, Oneiros, The Shaper, and several other classical interpretations of aspects of dreams. As the series begins, Morpheus is freed after spending decades as a captive of an English magician. His time in captivity has slightly eased his former arrogance and cruelty and he is forced to reclaim “The Dreaming.” The series then delves into mythology, fantasy, and pop culture through multiple story arcs. If you read comics during the late 80s and 90s, it is almost certain that you are at least familiar with the name Sandman. During its run, Sandman went on to garner several awards, including 18 Eisner Awards for the main title and its spinoffs, and the World Fantasy Award- the only comic ever to do so. The creator and author of Sandman, Neil Gaiman, has gone on to win several literary awards, including the Newberry Medal in 2009, and the Carnegie Medal in Literature in 2010. He is responsible for Stardust and Coraline, both of which were recently adapted into films. He also co-wrote the screenplays for MirrorMask, Beowulf, and he wrote the English language adaptation of the anime Princess Mononoke. A movie adaptation of his all-ages novel The Graveyard Book is said to be in development with Neil Jordan directing, and a long rumored adaptation of the Sandman spin-off, Death: The High Cost of Living, is said to still be in development with Guillermo del Toro attached as executive producer, and Gaiman writing and directing. As a comic fan, it is totally justifiable to be excited at the possibility of a TV adaptation of Sandman. There is some potentially bad news though. If the series does happen, it will almost certainly be aired on the CW, possibly as a replacement for Smallville, which is entering its tenth and final season. For those that have never seen a show on the CW, and there are many of you, the CW is best known for its programs geared towards the demographically lucrative early teen to mid-twenties group. Sandman, which began as a somewhat disturbing dark horror tale, seems like an odd fit. Currently the CW is home to shows like 90210, Gossip Girl and One Tree Hill. Unfortunately, there was never a storyline where Dream’s sister Delirium became pregnant after having an affair with Death’s boyfriend, who was himself secretly the son of Dream’s bitter rival “Awake”, or something similar. This is not the first attempt to adapt Sandman. Since the mid 90s, several names have been attached to Sandman, including Pulp Fiction producer Roger Avary, Jon Peters, and more, as well as several screenwriters. One script was said to be so bad that Gaiman famously stated that it was not only the worst Sandman script he had read, but “quite easily the worst script I’ve ever read.” A potential HBO treatment was also recently rumored, but that did not come to fruition. If the project goes ahead, expect Warner Bros. to do everything in its power to convince Gaiman to to be involved, or at the very least bless the project. Until the initial deal is concluded between DC Entertainment and Warner Bros. TV, the project cannot go forward, but once it does expect to hear more about this as Warner Bros. seems determined to proceed. So what do you say comic fans? Are you excited or terrified by the possibility of a CW Sandman adaptation?